best price viagra professional from canada Don’t judge my outfit. It is what I have to wear to take Emma in. Trust me the picture is better than real life. http://jeffreydavidburgess.com/?x=over-the-counter-viagra-shoppers-drug-mart Trips to Boston include many different aspects and processes. I thought I would share a list of things that we have mastered and those we haven’t: Flight ☑, Hotel ☑, Transportation ☑, Finding Great Food ☑,Endocrinology ☑, Ophthalmology ☑, MRI ☑, Neurology ☑, Dermatology ☑, Handling wait time for Results ☐. No matter how many times you do this it never gets easier to hear a doctor tell you what your life is going to look like going forward. viagra canada drugs Luckily today we get to share with you one of Gods miracles. 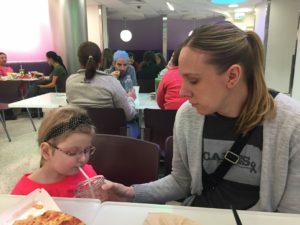 Emma’s tumor has been found to be stable or even smaller in certain parts. The thing that makes this so hard to understand is that Emma has only been on chemotherapy for roughly 3 or 4 weeks of the previous 6 months. We as parents and even Emma’s doctors can’t explain why or how this is possible. Anyone that has been around Emma for any period of time the past few months understand how difficult things have been for her. To see her gaining strength in her therapy and making strides in the classroom is one of the best feelings in the world and to know she will have more time to do so is impossible to put into words. http://edgplancollection.com/?x=viagra-generic Emma enjoying some post MRI lunch. generic pfizer viagra from online drugstore The plan is fuzzy at best going forward. Dr. Chi is a little concerned that the growth could come at any time. That combined with a soon opening trial that would possibly be able to help Emma has her planning on scanning again in two months. At that time if there is growth they would attempt to put her on the trial. 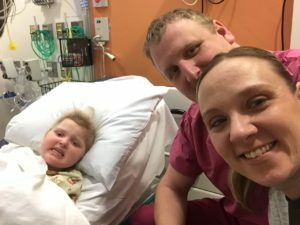 The trial drug has proven to be very successful for people with similar tumors to Emma’s but would require frequent and consistent trips out to Boston. For right now we get to enjoy another two months of giving Emma time to heal and recover from the previous treatment. drug med viagra pharmacy One of the promising stories that gives us faith in the new drug is a 17 year old young lady that has been on the drug as a compassionate care option for the past 4 years. She has been on many different chemo’s since the age of 2 without much luck. This drug was the first to give her long term success with the biggest side effect being slowly climbing glucose levels. Hopefully her tumor stays stable and we don’t need to do anything but this sounds like a good option if necessary. source site Thank you for the prayers today and always. We couldn’t do this without the constant support from those near and far.